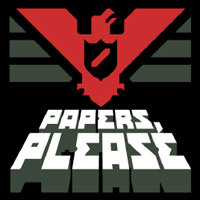 Player plays as official at Grestin Border Checkpoint in fictional communist country Arstotzka. Every day, the player has to check out as many people as possible, for every person player get a specific amount of money. Every day, after work player has to decide what to do with earned money – buy food, medicine for himself and his family or pay electric and heating bills. Everyday player faces off different morality issues such as immigrants begging for pass etc. The player has to decide if he will stay loyal to the communist party and Astrozka or will he become a corrupted official, or will he choose another path – helping only those in need. Honored at Games for Change Awards. The game costs about 10 $.